Charming beamed cottage dating back to 1700's, refurbished and furnished to a very high standard with modern facilities. Everyone who stays comments that it has a real homely feel, which was our intention as we often stay ourselves as it is our 'home from home' when we visit Cumbria from North Yorkshire! The new extension provides an entrance porch and cloaks area with seating and underfloor heating and downstairs toilet. Comfortable lounge with fully equipped kitchen/dining area. 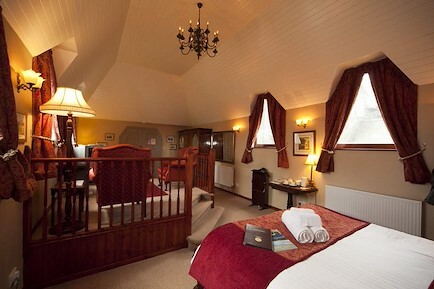 Two bedrooms, one king size and one twin, both with en-suite facilities. Central location with private off-road parking and a south facing patio and rockery garden. Less than five minutes away from Moot Hall and all the shops, pubs and restaurants that Keswick has to offer. We only have one holiday cottage and rather than subscribing to Visit England, AA etc, we choose to invest those subscription fees into the cottage each year to keep it continually updated and modern. Cottage is ideal for families, couples and anyone who is travelling on their own. Recent feedback - "A really well positioned, cosy, well equipped cottage. Smack bang in the middle of Keswick. 2nd time we have visited. Last minute 4 night break in December. Cannot praise this place enough. Definitely home from home. The new extension makes all the difference for walkers/cyclists. Will be returning next year for sure. Although no pets are allowed, we do stay at the cottage at times with our dogs. Paula and Andy McLean - independent owners. Woolstore Cottage is tucked out of the way on Shorley Lane and yet is just a short stroll to the Market Square. Your enquiry will be sent directly to Woolstore Cottage. Please fill in as much detail as you can.